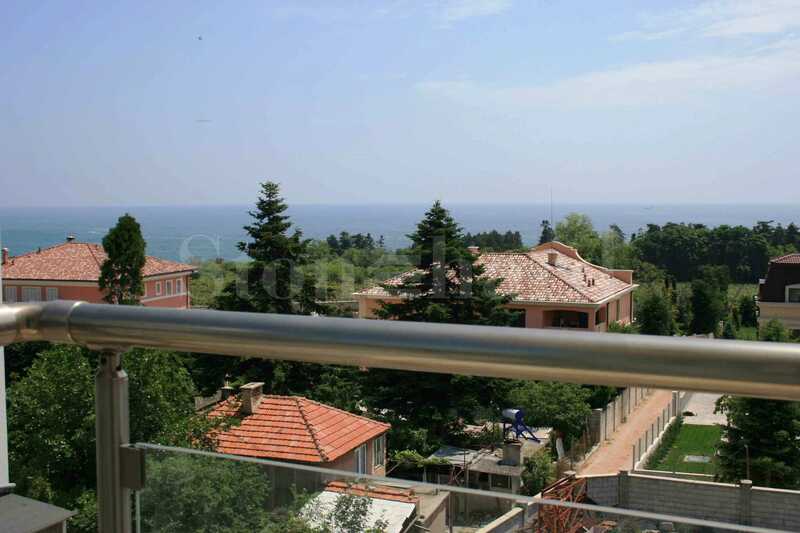 Modern gated development, located in Evksinograd area, 800 m from the beach and about 7 km from the center of Varna. The complex has reception desk area, video surveillance, guarded parking with 60 parking lots. In addition there is a functioning restaurant, sauna and roof terrace revealing panoramic views. The complex was put into operation in 2004 and it has an annual maintenance fee of 6 € / sq.m or 30 BGN per month. On each floor are to be found 5 studios and 1 one-bedroom apartment, and the apartments announced for sale are located on 2, 3 and 4 floors. They are offered turnkey. All aoartment units offer wonderful views towards the sea and the park of Evksinograd Residence. Parking space for rent is available for 30 leva per month. Evksinograd is located 7 km from the center of Varna and is preferred for living by people looking for a higher quality of life and an environmentally friendly environment. The well-developed infrastructure, the availability for regular public transport, the proximity to shops and street lighting make it one of the most popular areas in the city. In immediate vicinity is located St. St. St konstantin and Elena. Its beautiful beaches and paths lined with rare plant species attract tourists from around the world.